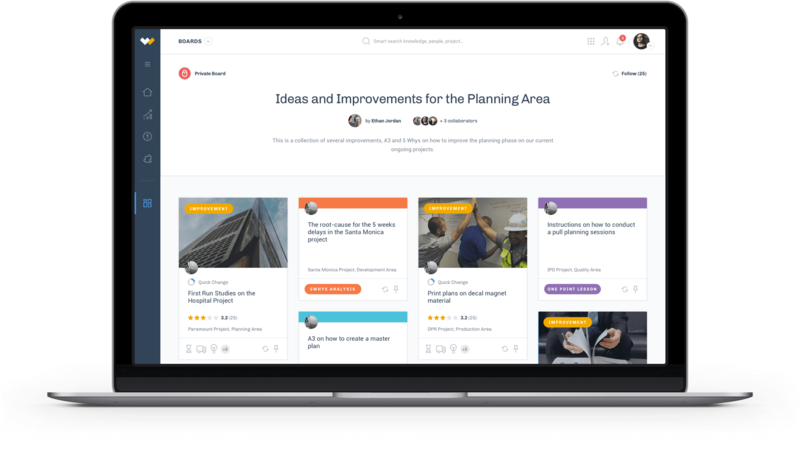 The Lean Way allows you to create private and public boards to structure and collect knowledge and improvements relevant to you and your team. Avoid being overwhelmed with all the information and create a board to gather relevant improvements, lessons learned or problem solutions to reuse in the future. Pin improvements, useful knowledge, or new updates to your private board. 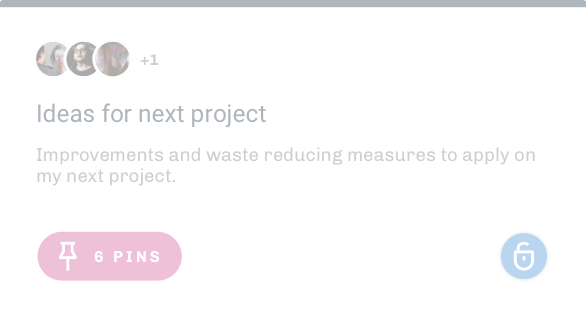 Create a separate board for each project or category, and decide who gets to see your boards. 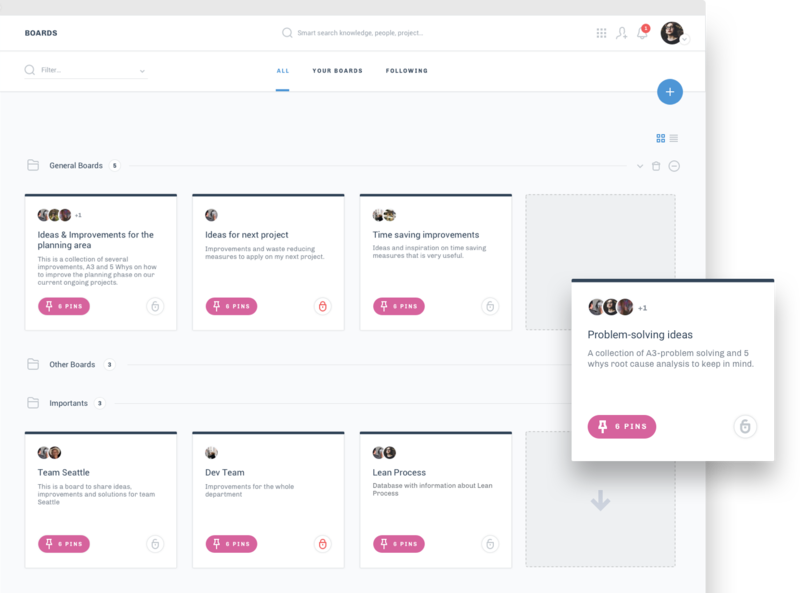 Share boards with the rest of your company and help organize improvement and connect teams across your organization. 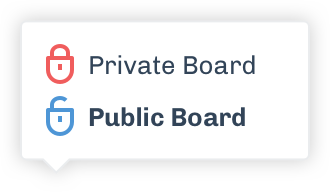 Only members of your company workspace can view your public boards. 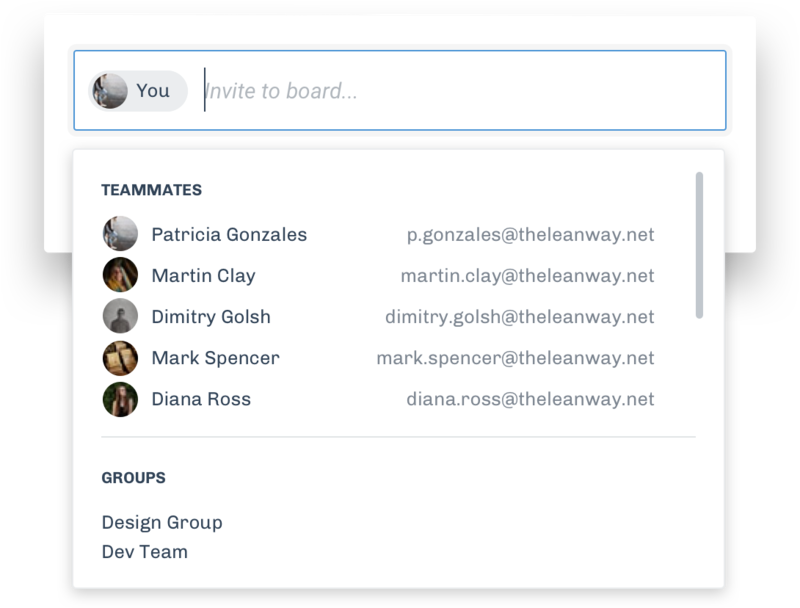 The Lean Way allows you to work collaboratively on your improvements with your team. Work together on sharing ideas and solutions to problems that you have faced. Share lessons learned and best practices across your whole organization. Develop a lean and continuous improvement culture. Invite your colleagues to collaborate on a board and build a team consensus around improvements. 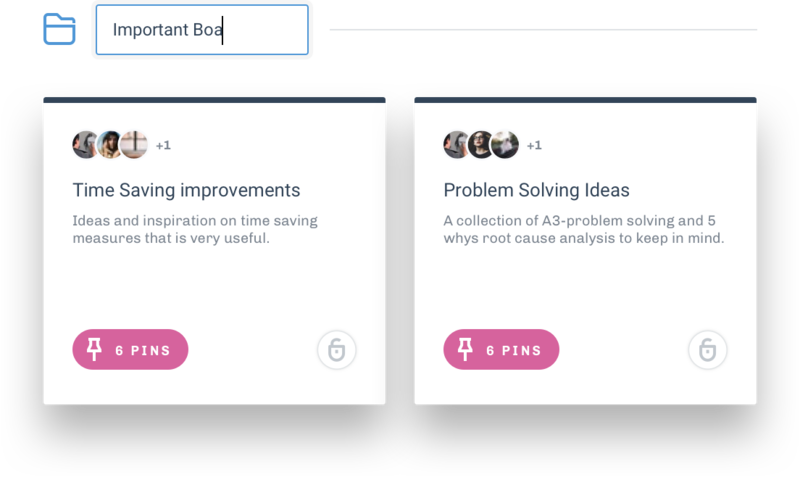 Whether you’re working on daily improvements, starting a project or solving a problem, you can assemble teams in board, and display and update the board from anywhere. Find what you need quickly and efficiently with easy searching filtering functionalities. Your company's knowledge is just one key word search away. 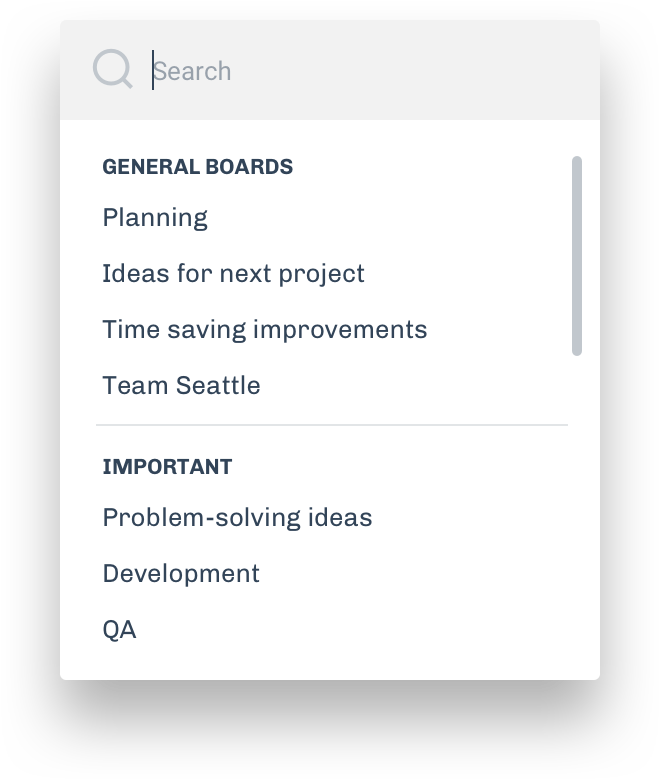 Sections allows you to organize your boards into useful categories. Keep all relevant boards together for fast referencing in the future. 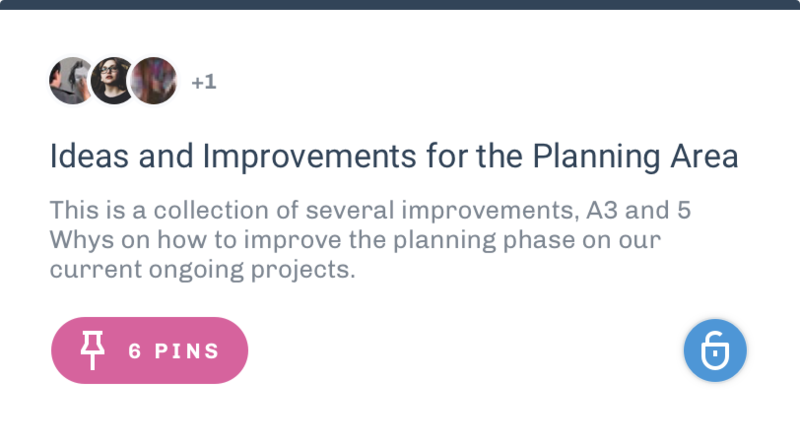 Increase knowledge sharing, accelerate improvement, and share best practices.